You could be one of thousands of expat investors who are sleepwalking their way to financial misery. Why? By having unwittingly filled your portfolio with potentially toxic investments. These investments are like ticking time bombs waiting to explode and destroy your finances and your chances of reaching your financial and life goals. Inside our special report we reveal why STRUCTURED PRODUCTS, UCIS FUNDS and ANY INVESTMENTS RECOMMENDED TO YOU BY AN OFFSHORE FINANCIAL SALESPERSON are very likely doomed to fail – soon! Stock markets around the world – particularly in the UK and the US – have enjoyed an extremely long bull market run. In the US, stocks are up around 200% since the bottom six years ago and the current run is now the third largest in American history. So why does this make structured products toxic? The majority of structured products are linked to the performance of stock market indices like the FTSE 100 in the UK or S&P 500 in the US. When these indices do finally begin a “correction”, which many expert investors are predicting could come soon, it is likely many structured products will fail. This means, in the best case scenario, an investor will just get their money back, but in others they will lose part or all of their original investment. For those who do get their money back, this will still be extremely costly as, in real terms, after money has been locked in for a period of five or six years, the inflationary impact on that cash and the returns lost by having it locked away, could erode its value by up to 25%. Imagine losing 25% of your cash, after the rest of the world has enjoyed one of the longest bull market runs in history! Our research has found that AROUND $6 BILLION OF INVESTOR’S MONEY IS CURRENTLY TRAPPED IN SUSPENDED FUNDS. The vast majority of these funds are UCIS funds. These funds trapping investors’ money have all been suspended in the years since 2009 – during a sustained and widespread bull market. What will happen when this bull run does come to an end? If they are unable to generate returns in a rising market or even stay open, what hope do they have when markets become trickier to navigate? The big problem with these funds is there are often NO EARLY WARNING SIGNS they will fail because of the way they are structured. Most funds of this type are valued using what is known as a “mark to model” valuation – returns are estimated based on speculation as to how much the assets held within the fund are worth. This means it may look like the value of your investment has been steadily rising since you bought it, but in actual fact, because these valuations aren’t based on actual trades, they are not worth the paper they are printed on. Promise of “very high or guaranteed returns” sometimes in double figures. “Non-correlation” to other markets – that is, it claims to continue to perform when other markets, like equities, aren’t. This doesn’t necessarily mean they are lower risk – but it often means the opposite. Mark to model pricing. This means that past and “projected” returns will usually appear as nearly a straight line (or in “steps”) on sales material. This is always a BAD SIGN. Obscure domicile. A fund being based somewhere like Mauritius doesn’t automatically mean it is high risk, but why wouldn’t the manager use a more well regulated and transparent jurisdiction such as Luxembourg, Ireland or the UK? (although some UCIS funds have been based in highly regulated jurisdictions). In our free special report we outline three solutions which will help you get your portfolio back on the right track, once you have decided whether you want to dump these potentially horrendous UCIS funds. If you have either of the first two toxic investments and your product is held within a life insurance wrapper provided by an international life insurance company (such as RL 360, Royal Skandia/Old Mutual, Generali International, Friends Provident International, Hansard International, SEB Life International), there is a very high probability that your WHOLE INVESTMENT PORTFOLIO IS ROTTEN TO THE CORE. These portfolios are more often than not put together with one thing in mind – not achieving good returns for you – but lining the pockets of the offshore salesperson who are planning the purchase of their next sports car. This means the majority of the products are high risk and are often extremely unlikely to make a good return. In fact, most of these investments are likely to fail – the only person who wins from them is the feral offshore salesperson who sold them in the first place and who will have walked off with good chunk of your cash. 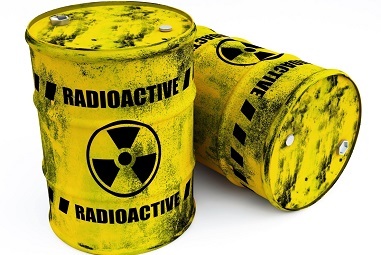 If this strikes a chord with you and you are worried you may have toxic funds ready to leak their deadly radiation into your portfolio, then download our FREE SPECIAL REPORT NOW! By downloading the report you will also be able to request a free, NO OBLIGATION PORTFOLIO X-RAY. Following the X-Ray, we will provide you with a free report outlining exactly how much you’re paying in hidden charges and whether your investments are likely to make you any money.